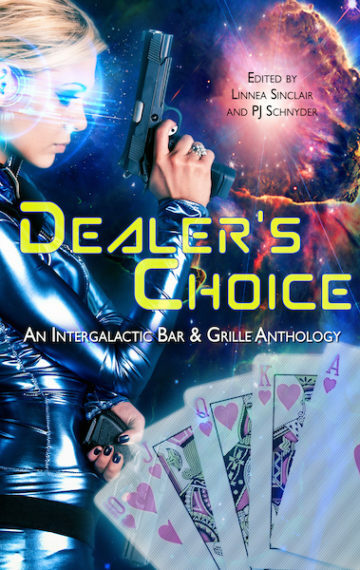 This anthology was an exclusive release for the RT Booklovers’ Convention, April 2016, given to attendees of the Intergalactic Bar & Grille event. The collection features short stories by M.D. Waters, PJ Schnyder, Tee Morris, Isabo Kelly, Cathy Clamp, Veronica Scott, Janet Miller, Pauline B. Jones, Colby Hodge, and Linnea Sinclair.